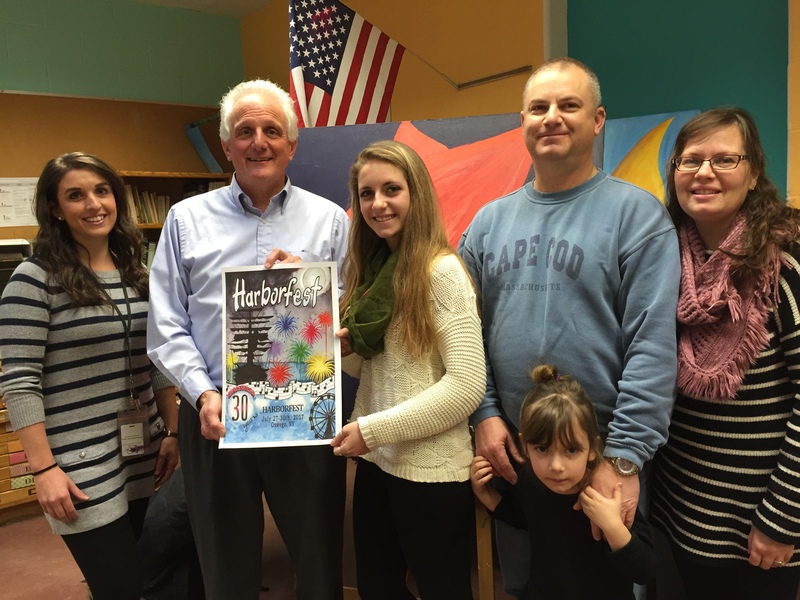 Oswego, NY (January 4, 2017) – Oswego Harborfest is pleased to announce that a winning design has been picked for the 2017 festival poster. The contest entries were collected in early November, and all entries were carefully deliberated. 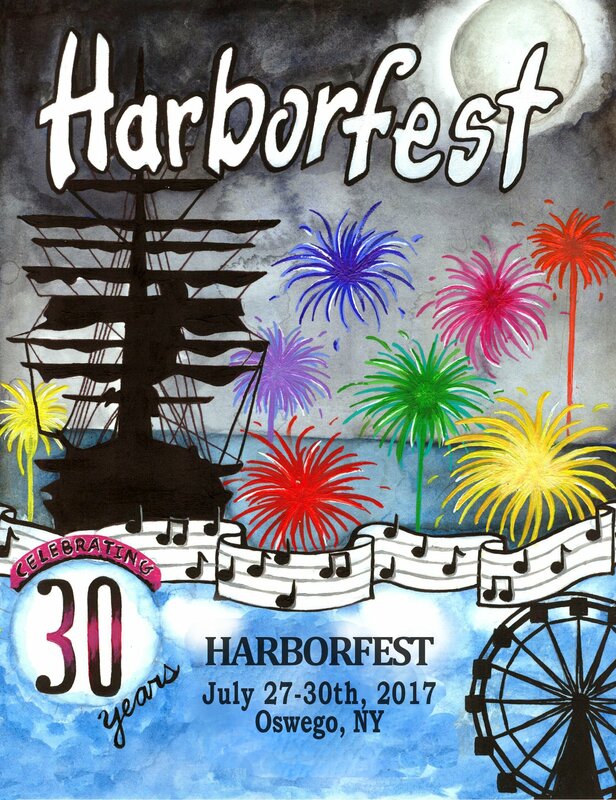 This year’s festival marks the 30th anniversary of Harborfest, and the festival staff sought a design that incorporated both the “spirit of Harborfest”, and elements of past winning designs. After much consideration, the team picked the design of Victoria Izyk, a senior at G. Ray Bodley High School. 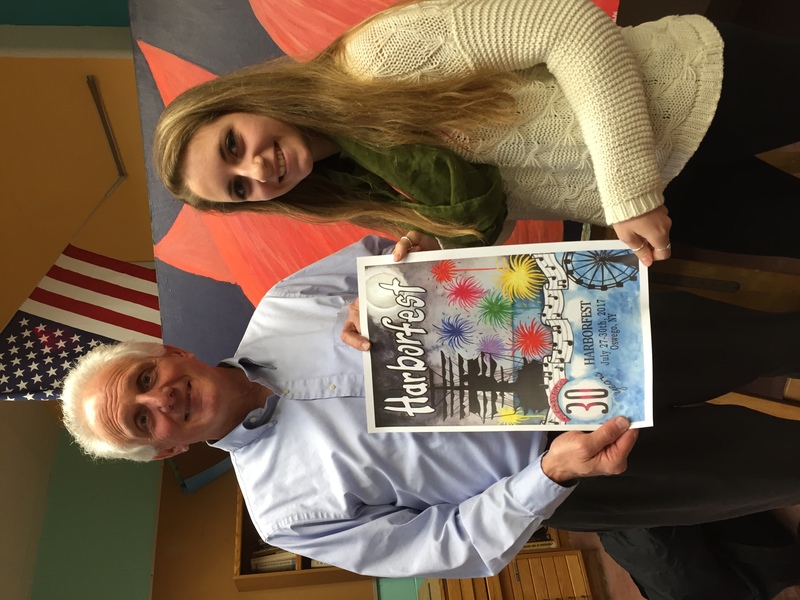 Izyk worked under the guidance of art teacher Jaclyn Tyler to create the winning design, which best encapsulated how past festivals have shaped the spirit of Harborfest going into its 30th anniversary. The team at Harborfest also decided to use Izyk’s design, along with every poster since the first festival, in a full size poster that shows the progression of time through design. This full size poster will be posted on the official web site (www.oswegoharborfest.com). It will also be copied and framed and given to all of our 2017 sponsors and business members. In addition to this, the winning art work will be adapted for use on the 2017 Harborfest T-shirt, program, rack card, etc. as needed. Izyk also received a prize of $100.00. entities, and individuals and family members. To learn more about the Harborfest posters and merchandise, about Harborfest itself, or to contribute to the support of this amazing region-wide event, contact the Harborfest offices at 41 Lake Street, Oswego, NY 13126 or by visiting the Harborfest web site at www.oswegoharborfest.com. Pictured: G. Ray Bodley art teacher Jaclyn Tyler, Executive Director Peter Myles, Winning Artist Victoria Izyk, parents John and Michelle Izyk, and younger sister Alina. Oswego Harbor Festivals, Inc. /Harbor festivals Guild is a 501(c)(3) nonprofit organization with a mission of creating and providing nationally recognized festivals and events that attract and engage a broad and diverse audience, celebrate and build community, and advance economic development in Oswego.